With today's world, it is easier than ever to live without interacting with your local community. 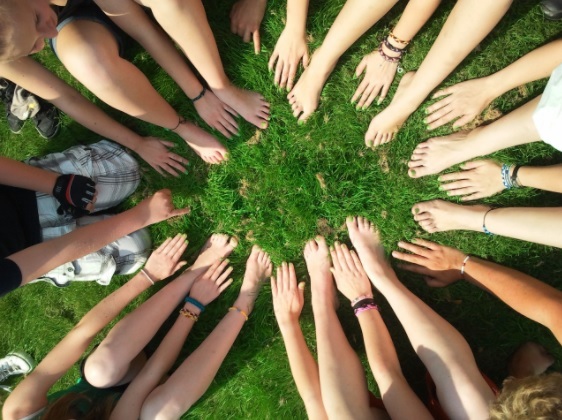 It can be easy to blame many factors, like the internet or the development of suburbs in the 1950's, but it's within your power to connect with your community. Let's take the next few paragraphs to look at a few ways you can do just that. Social media makes it a lot easier to connect with family and friends as well as your community! Try searching for your town name on Facebook and see what groups, pages and events pop up. Some groups are set to private so that only group members will see what's posted in the group. Another tip is to look for a local news organization and follow their page. If you find you aren't seeing as many news stories as you like, try commenting on the stories for the Facebook algorithm knows that you enjoy seeing posts from that page. According to Independent Sector, Massachusetts has over 30,000 non-profit groups. These include public and private foundations, charities, religious organizations, civic groups, and Veterans organizations. It's likely that you will be able to find one that matches with your core values and it's more than likely that one of them is looking for a person just like you to help them accomplish their mission. There are many ways you can support non profits, from volunteering your time or skills to material or monetary donations. Hitchcock Academy serves Brimfield and the surrounding communities by providing educational, recreational, and cultural programs. Community centers like Hitchcock Academy provide a multitude of classes that can be enjoyed by almost anyone! Fitness, art, food, and even dog training are just some of the many types of classes offered. You could learn many of these things from YouTube tutorials, but there are benefits to taking a class in your community center. You are learning directly from an expert in the topic at hand, so you can ask questions if you don't understand. You are also spending money that goes to supporting the instructor and to the community center so more community members can benefit again! Another great opportunity that comes with taking a class at a community center is your fellow students. Come early or stay late to socialize-you already know that you have two things in common, you are a member of that community and you are interested in learning more about the same subject! Many people want to be more involved in their communities, but can't find the time to do so. That's why it's important to find something that resonates with you and your goals in life. If it matters to you, you will set aside time to focus on your community. It can be best to start by deciding on an interval of time to check on your endeavor. Once every few days might be perfect for some people and activities, but it might be too often for some. By entering the time into your calendar or planner, you will be able to dedicate that time to your community. Let's Learn About the Violin! The violin is a fine instrument! In pop culture, you usually see it being played by geniuses and virtuosos, but anyone can learn how to play the violin, especially with the guidance of Linda Day at Hitchcock! To learn more about the lessons she offers at Hitchcock click here, to learn more about the violin read on! "The violin is probably the closest in sound and expressive capabilities to the human voice," explains Samantha Gillogly, a violinist from the area who currently resides in NYC. This familiarity leads many people to be captivated by the instrument. "Just about any melody that can be sung can be played on a violin. In that respect, it inspires a very immediate emotional response for many people." But there's more to the violin than simply an enchanting melody. Let's take a look at the history of the violin. The word violin come from Medieval Latin vitula which means stringed instrument which could come from the name of the Roman Goddess of joy, or from Latin verb vitulari meaning to exult or be joyful. The instrument is also called the fiddle, especially in the context of folk music, but we'll just call it a violin in this post. The viola is a similar, but slightly larger instrument and has a deeper and lower sound. 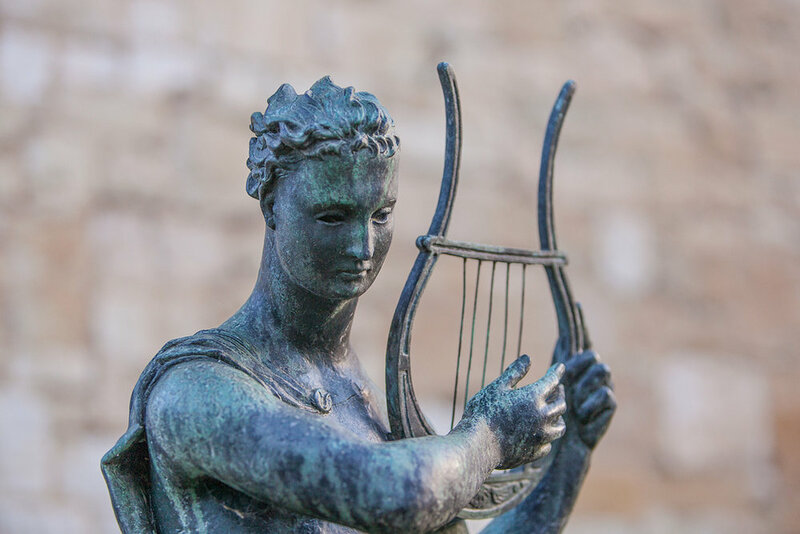 The violin descended from many stringed instruments, including the Greek lyre, but the strings were plucked rather than having a bow drawn across. The first instruments that we would recognize as a modern violins emerged in the 16th century. From the 16th to the 18th century famous violin makers, also known as luthiers, began to emerge, with some names and violins from those times remaining famous to this day! The most famous of these is Antonio Stradivari, whose violins have sold at auction for millions of dollars. This Stradivarius, named after one of its first owners, was sold at auction for $15.9 million. The proceeds benefited victims of the 2011 Japanese earthquake and tsunami. Purchasing a violin can be very costly, with student models costing up to $3,000, but renting a violin can be an affordable solution to this problem. You can find rentals in area music shops or even online with various rates to match the quality of the instrument and the length of your rental. It can be best to start playing when young because of a child's receptivity to learning new skills; however, anyone can start playing, even adults. Gillogly expounds on this, "Learning as an adult has its own unique advantages; adults are typically more conscientious of detailed instruction being given to them, and may be more disciplined and self-motivated in their practice." Some people who had experience playing when they were young may feel an urge to renew their previous work such as our violin instructor, Linda Day. Linda first took an interest in violin at the age of 7, but did not devote herself to playing until 13. After marrying and raising four children, she did not pursue the violin further for more than 20 years. After attending school, she began a 22 year long career playing in the Austin Symphony Orchestra! Gillogly offers this advice to those starting out, "Choose a song or two that is really special, really meaningful to you, as a goal to work towards learning. Scales and studies are helpful for learning technique, but without a piece of music to work up to that you really love, it can be hard to stay motivated in the long run." She offers this practical advice as well, "Don't feel self-conscious about using visual aids to help you find your way around the instrument in the beginning! Violins are fretless, which can be intimidating for many people, so ask your instructor to help you place some thin strips of colored electrical tape across the fingerboard to mark where your fingers should go. This will help make sense of where the notes are, and you can gradually wean yourself off them once you get more confident in your muscle memory." I hope you learned a little more about this fine instrument. If you've had previous experience with the violin but would like to resume your studies, or if you're just starting out, now is a fantastic time to try your hand at it with a little expert guidance from Linda Day! 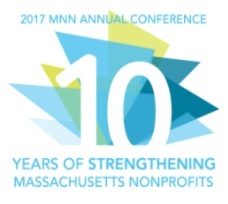 Before we get to the good stuff and discuss the Massachusetts Nonprofit Network (MNN) Annual Conference, I'd like to introduce you to this blog! And me! Sue and me right after the Conference's opening remarks and after I did something strange to my hair. I am Diana Caissie, one of the two Assistant Directors for Hitchcock. I am in charge of marketing/social media for Hitchcock. My goal is to let everyone in the Hitchcock community know about any and all programs that might benefit them personally. Speaking of personally (not a good segue), I grew up and currently live in Brimfield along with my amazing husband, two sisters and mother and too many chickens. I am famously bad at telling stories, but enjoy telling them anyway. The goal of this blog is to let you gain an insight into the week that was at Hitchcock through my eyes. It may be different from the way you experience Hitchcock, and that's good-I think that differences make life worth living! An additional goal is to have a more relaxed discourse than I currently have through my weekly emails. I like professionalism, but I also like the warmth and friendliness which Hitchcock's staff and community thrives on and professionalism often lacks. 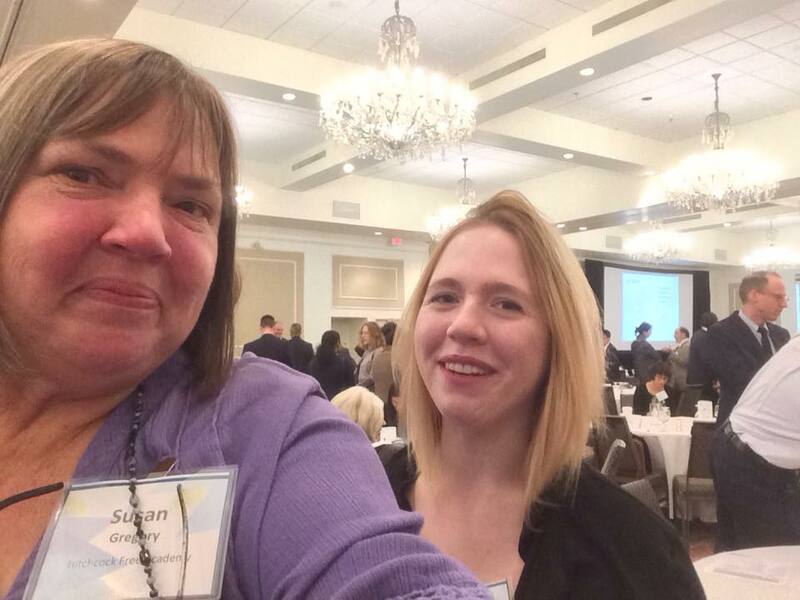 On Wednesday, November 1st, the Executive Director Sue Gregory and I traveled to the Sheraton in Framingham to attend MNN's 2017 Annual Conference. It was MNN's 10th year and my first. Upon entering the hotel, I had a lovely continental breakfast along with delightful coffee. Incidental to this story, but as I said, I'm quite bad at knowing what to include in stories. Sue and I chatted with other attendees and then visited exhibitor booths which were set up by companies with services important to the nonprofit sector. They almost all had candy and all of them had cute freebies, such as notebooks, pocket calculators, even Bluetooth speakers! Neato! What I took away from this conference (apart from all the neat swag) was that this is a troubling yet hopeful time for nonprofits. Daniel Cardinali, President and CEO of Independent Sector, spoke of threats to the Johnson Amendment (which prohibits 501(c)(3) nonprofits from endorsing or opposing political candidates.) which, if removed, could allow political donations to be filtered through a tax-exempt non-profit organization. On a more hopeful note, Massachusetts State Treasurer and Receiver-General Deb Goldberg spoke of her efforts for a broader version of the CORE Plan, a retirement savings plan for small non-profits. The rest of the day featured workshops and lunch. I attended workshops about communication errors that nonprofits commonly make; one on fundraising (a topic I actually enjoy and don't feel too awkward about. Or maybe I just feel awkward all of the time so it doesn't feel weird to ask people for money...) and one on creating "brand ambassadors" out of your staff and volunteers. So many of the presenters and attendees had so much more experience than me, not just in years, but in knowledge. And so many of them work with such vital and important areas of the nonprofit sector, like homelessness and healthcare. One of the two Lifetime Achievement Award recipients, Michael Weekes, spoke of having courage to do the right thing in the face of immense and overwhelming threats. I felt this advice could apply to not only the field I work in, but in my everyday life as a member of my community and as a human being. In the eyes and hearts of all of the people I saw at the MNN Conference, I saw and felt the same giving and kind spirit that I want to manifest in every aspect of my life. One great way to record and keep up this pattern of courageous change is for me to share my thoughts and developments through this blog. I hope that you will join me in this blogging adventure! Get the latest from Hitchcock Free Academy delivered directly to your inbox. Please contact us if you have questions about making a donation. Copyrighted 2016 Powered by Squarespace. Content used with permission from Design Trust For Public Art Space.